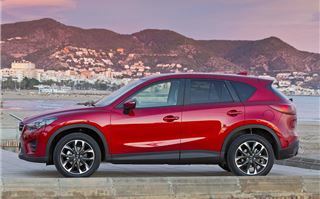 At a glance you’d never know, but this is the new Mazda CX-5. As far as mid-life updates go, this has to be one of the most subtle we’ve ever seen. 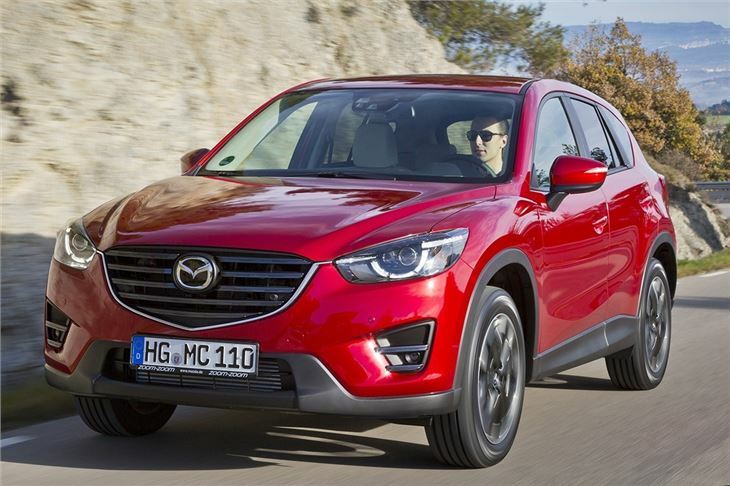 There is a new grille design and slightly different headlights – but only on the top model. 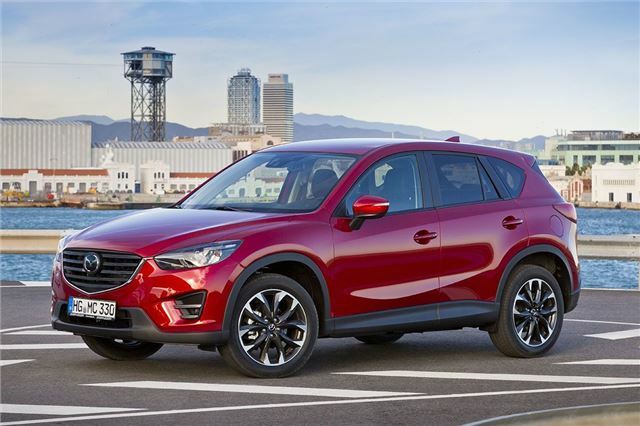 It’s not all about looks, though – there have been tweaks in the cabin, like a new touchscreen and a standard fit electric handbrake, plus improvements to handling and refinement. 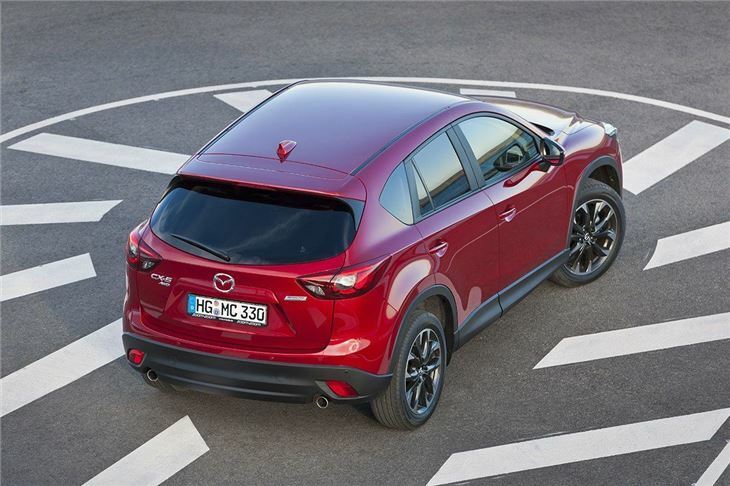 The engine range remains unchanged, with the same power outputs, transmission options and economy figures as before. That’s not really a problem, though - they’re still competitive on all fronts even after three years. 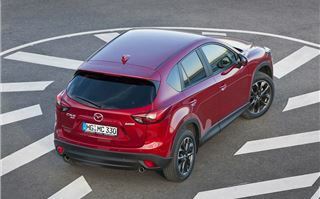 The best seller is the 150PS 2.2-litre diesel, which has willing performance and emissions of as low as 119g/km in front-wheel drive form, which equates to 51.1mpg. 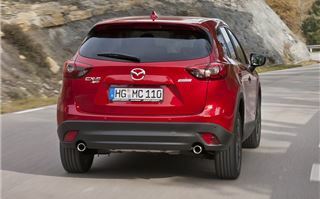 The tweaks to suspension and refinement are as subtle as the new looks, but they certainly add to the appeal. 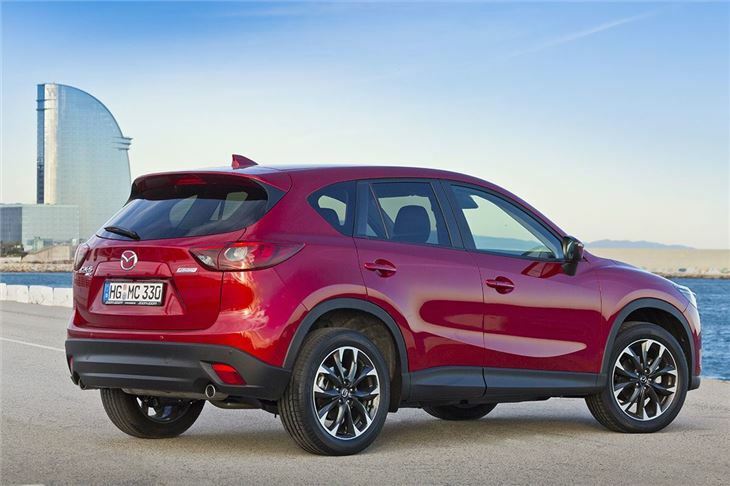 The CX-5 has always had impressive roadability but now the great body control is combined with better comfort over broken surfaces and potholes, plus there has been a noticeable reduction in tyre noise. 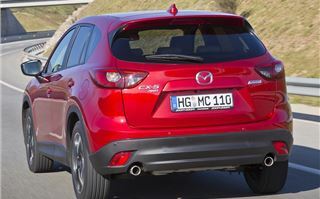 Through corners the CX-5 is one of the best cars in its class, changing direction and gripping in a manner that belies its tall, upright design. 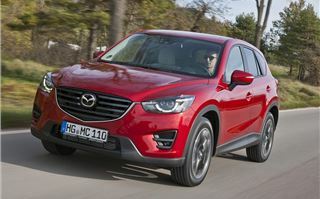 It hides its weight well and while it never manages to feel like a sports car, it is certainly capable of putting a smile on your face in a way most small SUVs never will. Mazda has worked on reducing wind noise, but it is still quite apparent at motorway speeds - although this is perhaps exacerbated by the lack of any other kind of noise. 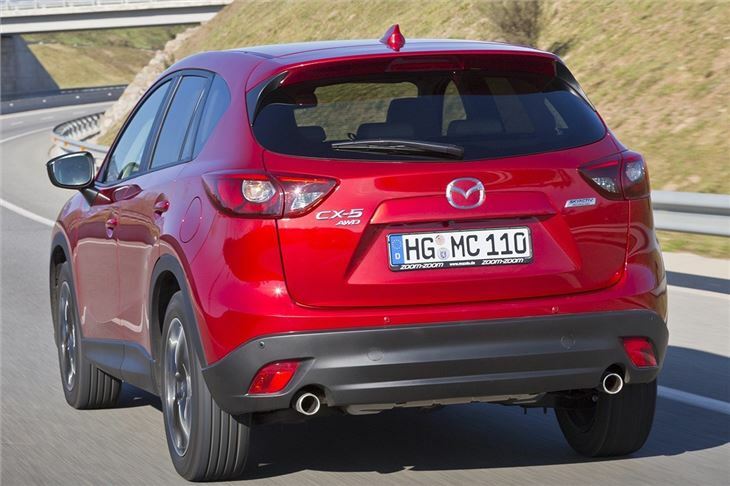 Even the diesel engines are subdued – the 150PS model we drove does clatter a little at low speeds, but it is still impressively quiet and punchy, with enough gusto for overtakes and cruising. 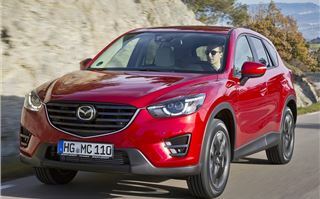 The CX-5 is at its best with the smooth automatic transmission. 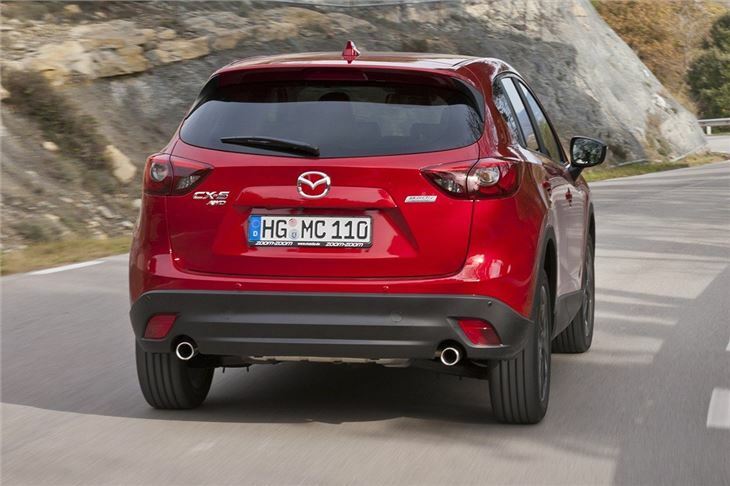 It tends to choose the correct gear even on a tricky twisting road, plus it is quick to change down for overtaking or accelerating up slip roads. The rest of the time the auto makes the CX-5 a relaxed yet still impressively competent car – but if you’d rather have a manual, the standard six-speed is slick and precise. All CX-5 models now come with an electronic handbrake and it’s easy to get to grips with, letting go smoothly when pulling away. It’s one of several important changes to the cabin – there is also a new infotainment system and it’s a big step up over the old one. The outgoing system has a confusing mess of buttons - the new one is cleaner, more responsive and much more user-friendly. Called MZD Connect, it incorporates the usual navigation and audio connectivity, plus it gets DAB and new online features if you pair up a smartphone. Pairing via Bluetooth is simple and lets you connect to Facebook or access a library of online music and audio books, which can then be streamed through the car audio system. 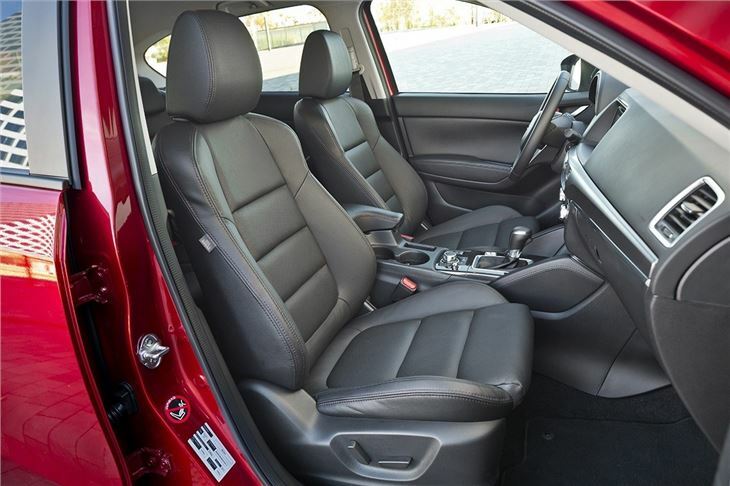 The touchscreen is responsive and intuitive, plus there are rotary controls near the gear lever which are less distracting to operate when on the move. 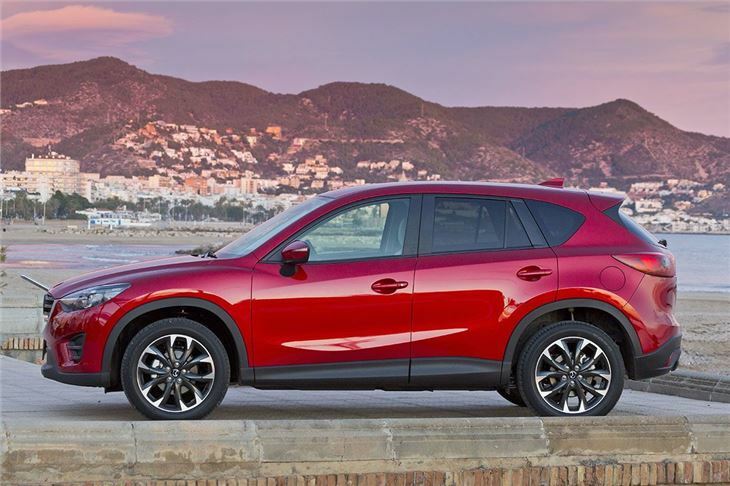 The navigation is accurate on the whole and has features like speed camera warnings, but it did get a little lost on our test route a few times, though that was in Spain rather than the UK. Another new feature, offered on Sport Nav models, is a comprehensive pack of active safety technology. 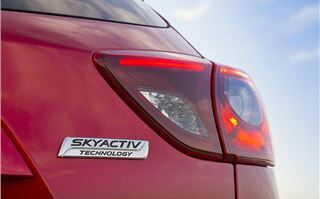 This includes adaptive headlights, lane keep assist and blind spot monitoring. 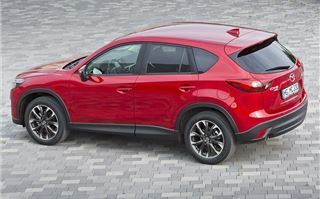 The active headlights are particularly impressive, with LED beams that automatically adjust to avoid blinding other road users while maintaining bright illumination elsewhere. 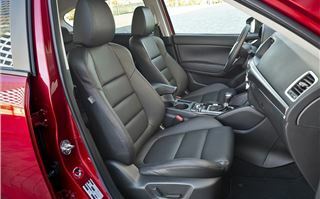 There are also revised, more comfortable seats, but the rest of the cabin is more or less as before – which is no bad thing. 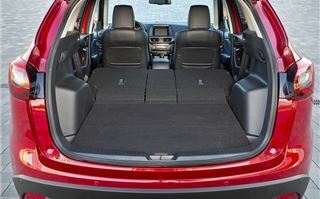 The boot is large, with a flat floor – though it is quite high for lifting heavy items in and out and there is a small lip. 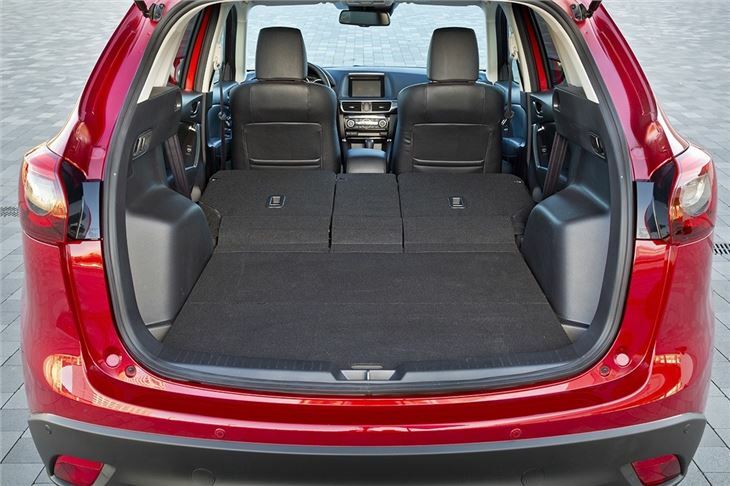 The rear seats offer enough room for adults, but if they’re not needed they can be folded, freeing up a useful 1620 litres of space. 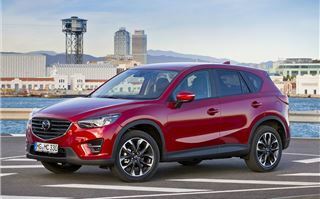 The tweaks to the Mazda CX-5 aren’t all that radical, especially compared to the mid-life refreshes most manufacturers, but there wasn’t much to fault with the car to start with. 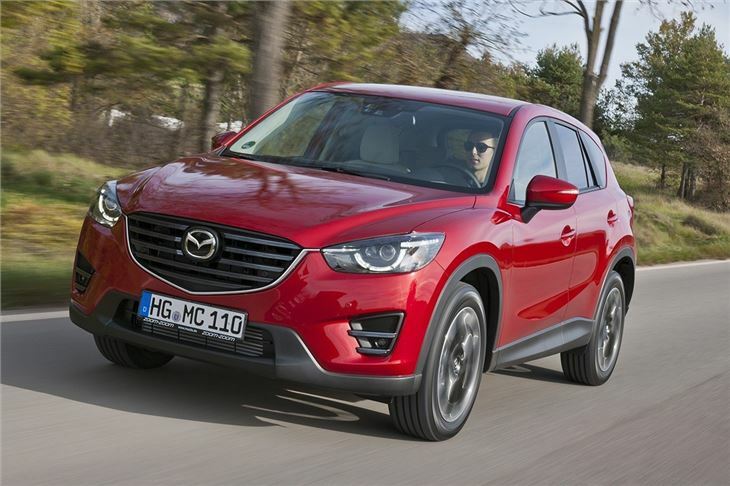 The new technologies and improved drivability bring it up-to-date, so it remains very easy to recommend for drivers who want something a little different to the usual Nissan Qashqai, even if CX-5 is a little pricier.